How to use the Annotations feature on YouTube to enhance a learning video? 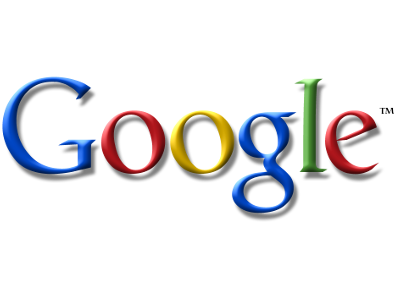 YouTube is a video sharing website owned by Google Inc. where users can view, upload and share videos. Annotations are one of the many features available on YouTube to make videos more interactive, thus enhancing a learning video. 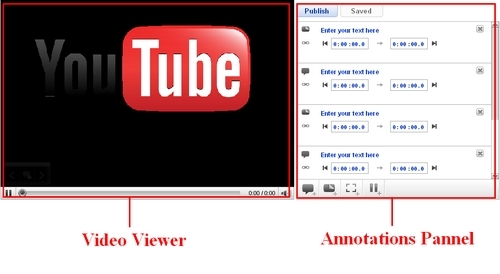 The annotation feature of YouTube can also be used to enhance the learning experience derived from an educational video. After uploading a video, go to the ‘uploaded videos’ section. Click the ‘Annotations’ button to open the Annotation Editor. The screenshot above shows the editor screen which is divided into two main parts. The left side of the screen is the video viewer while the right side is the annotations panel. The annotation panel has buttons at its bottom part for adding new annotations, and on the top part of the annotation panel are buttons for saving and publishing annotations. Play the video and move (seek) to the part/moment at which you want the annotation to appear. Select the type of annotation you want to add by clicking the appropriate icons at the bottom of theannotations panel. Speech Bubbles – To create pop up speech bubbles with text in them. Notes – To create pop up boxes containing text in them. Spotlights - for highlighting areas in a video - when the user moves the mouse over these areas the text you enter will appear. Video Pauses - For pausing the video for the specified time interval. Hyperlinks can also be added to videos by using the speech bubbles, notes or spotlights. To edit an annotation, we can either select it from the annotation list from the panel on the left side of the screen or just by clicking the annotation on the video viewer. Much of editing can be done on the vide viewer itself like editing the text, re-positioning the annotation on the video or changing its size. To change the time interval at which the annotation appears we can edit the starting and ending points of the time interval from the annotations panel. Annotations added to a video can be deleted by clicking the ‘X’ icon right next to the annotation on the annotation panel. To change the duration of a Movie Pause Annotation we can set the right time field of the pause annotation. To switch between annotation types click on the arrow next to the annotation’s symbol on the panel and select the annotation type you would like to switch to. The system at the YouTube server automatically saves your work in draft mode after every 30 seconds. But if you want to save your work more often then click on the ‘Save Draft’ button on the top left corner of the annotation panel. The users on YouTube who view your video are unable to see the annotations on your video unless you publish them by clicking the ‘Publish’ button on the top left corner of the annotations panel. The system t the YouTube server will NOT automatically publish the annotations that you have added onto your video(s). How do annotations enhance the learning experience? Annotations are used to add background information about the video, create stories with multiple possibilities (viewers click to choose the next scene) or link to related YouTube videos, channels, or search results from within a video." Adding annotations to a learning/educational video can make concepts clearer to the viewers and deliver the idea more effectively. Annotations provide an interactive way for users to be engaged throughout their videos. By adding annotations at the desired time interval and place presents a greater ability to inform or reach viewers. Other than the added benefit of informing viewers, this feature allows the users to completely interact with the video they are watching. Videos with annotations can be used in classrooms and allow students to interact with the instructor via the annotations on the video. This can make distant learning easier and efficient as it renders the physical presence of the instructor useless to some extent. Therefore students in remote areas, where more experienced or skilled faculty is un-available at schools, colleges and/or universities, can access higher education more efficiently. Such videos provide students with opportunities to be involved in the "active" process of learning various topics, especially science. Conclusively, annotations enhance the learning experience derived from a video, by enabling the viewers to actively interact with the video.